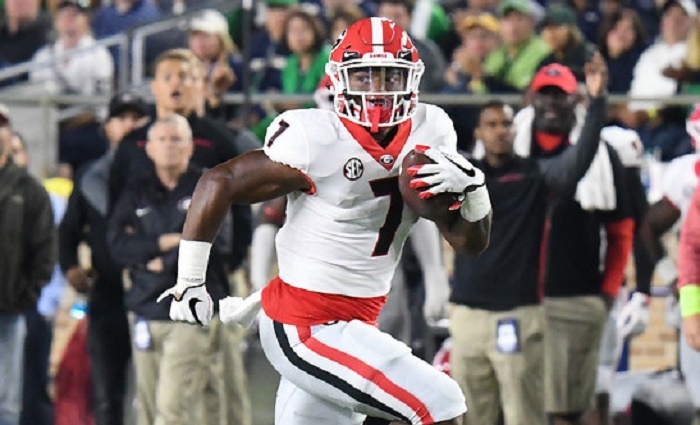 Where will Georgia find pass rushing answers? It’s no secret that Georgia struggled to get to the quarterback last year. In fact, the Dawgs finished 12th in the SEC with 24 sacks last season, 21 sacks behind SEC Champion Alabama. For comparison, Josh Allen of Kentucky finished with 14 by himself. With D’Andre Walker and Jonathan Ledbetter graduating, Georgia only returns 15.5 sacks. They do return a ton of pass rushing talent, with the likes of: Malik Herring, Brenton Cox, Robert Beal, Adam Anderson, Azeez Ojulari, and Channing Tindall. All former blue-chip prospects who saw significant playing time as underclassmen last year. Kirby Smart also made this a priority in the 2019 recruiting cycle. Georgia landed the nation’s number one prospect, Nolan Smith, out of IMG Academy. Smith will be expected to compete for playing time immediately this fall. Smart was also able to land the number one overall JUCO prospect, OLB/DE Jermaine Johnson out of Independence C.C. in Kansas. At 6-6 250 pounds, he very much fits the Lorenzo Carter mold, and should be able to contribute immediately. Under the command of new DC Dan Lanning and Smart, these guys will be under immense pressure to… well, put on the pressure. 2. Who will emerge among the receivers? With graduations and early draft enrollees, Georgia lost 1,987 yards of last season’s 3,177 total passing yards. Jeremiah Holloman is the only returning receiver who had double-digit receptions last year. That’s not to say there isn’t plenty of talent. Tyler Simmons is as explosive as they come: 4 touchdowns on 14 touches. Former Savannah Christian star Demetris Robertson failed to log a reception last year, but should see his targets increase with the departure of Mecole Hardman. Trey Blount and Matt Landers are names to watch, especially early. The rising juniors will be looking to join Holloman in the starting rotation. Additionally, experience in the program, especially with receivers, is huge under Smart. Guys who put as much emphasis on blocking as they do on pass catching have an inherent advantage. One young guy to watch will be freshman George Pickens. The number 1 recruit out of the state of Alabama is a physical freak, and has the size and strength to be and edge blocker in Georgia’s power run game. 3. What will D’Andre Swift’s workload look like? 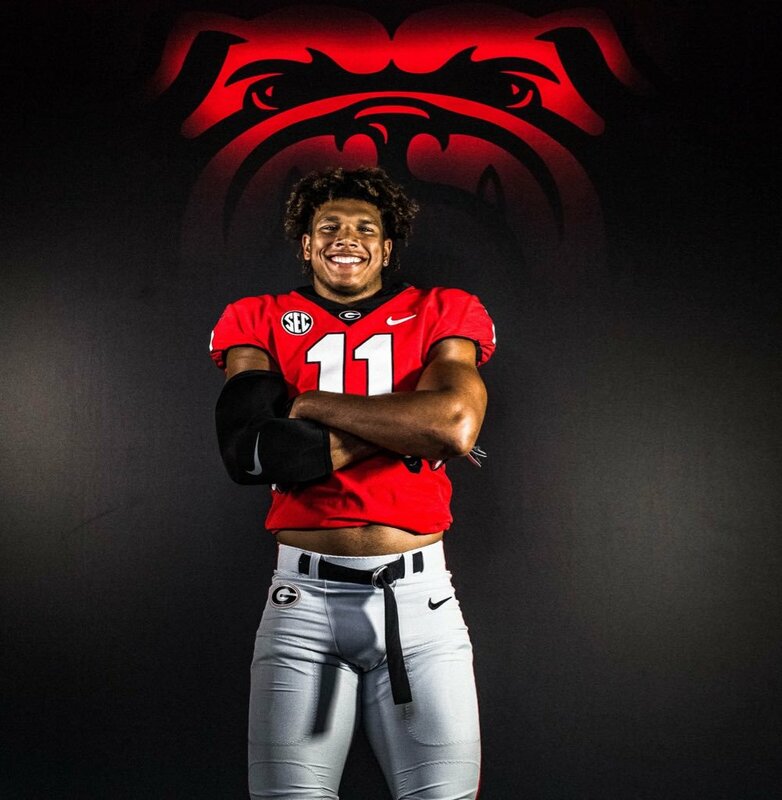 The general consensus around Georgia, headed into 2019, is that D’Andre Swift will receive the bulk of the carries. With the departure of Elijah Holyfield, Swift out carried his next teammate, Brian Herrien, by 113 carries in 2018. Though this could be a Heisman-type season for Swift, don’t expect him to receive 65-75% of the carries. Under Kirby Smart, only one back has seen more than 43% of the carries in a season (Nick Chubb: 44% in 2016). That being said, Georgia’s backup running back situation is more precarious than it has been in previous years. Brian Herrien has been career backup. James Cook showed flashes of his explosiveness, but it remains to be seen if he can carry the ball 15-20 times in a game. The wildcard is Zamir White. The number one back in the 2018 class, White is coming off of back to back knee surgeries. Everything is pointing to a fall camp return, but he is still an unknown. Brian Herrien is a very good running back. 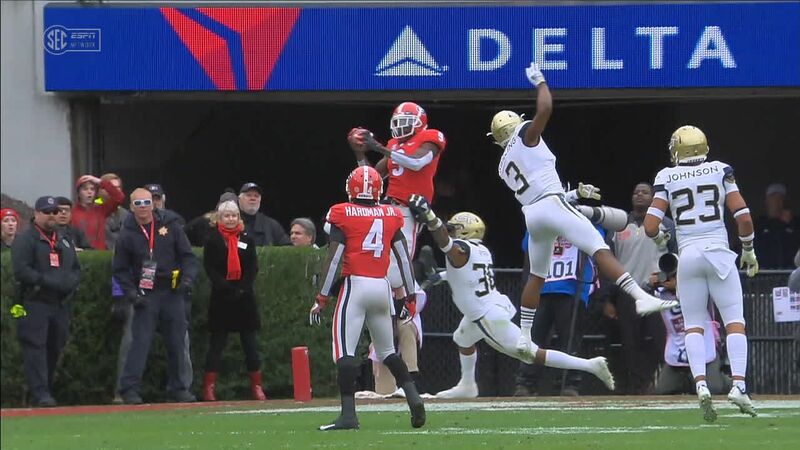 The only thing he ever did to not see the field is play behind Nick Chubb, Sony Michel, and D’Andre Swift. His first touch at Georgia, way back in 2016 against North Carolina in the Chic Fil A Kickoff game, went for a touchdown. He was Georgia’s best offensive weapon in the Sugar Bowl against Texas. He’ll be hungry to prove himself after waiting his turn for three years. Swift will absolutely be the featured weapon in 2019, but with OC James Coley ready to air it out more and good backups, he shouldn’t see more than 25 touches in a game. 4. Who will step up as a leader on defense? Gone is Thorpe winner Deandre Baker. Gone are seniors Jonathon Ledbetter, Natrez Patrick, and Juwan Taylor. Gone is defensive coordinator Mel Tucker. 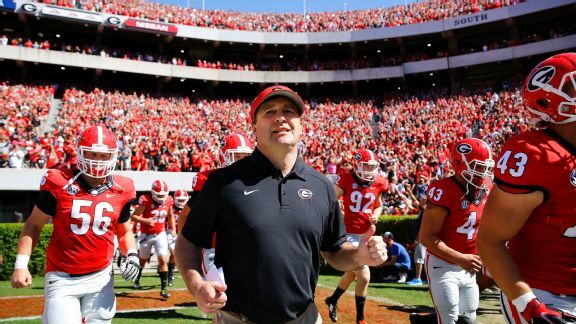 The 2019 Georgia defense returns a ton of talent, but not a ton of experience. Who will step up and lead this young but hyper-talented group? J.R. Reed immediately jumps off the board. 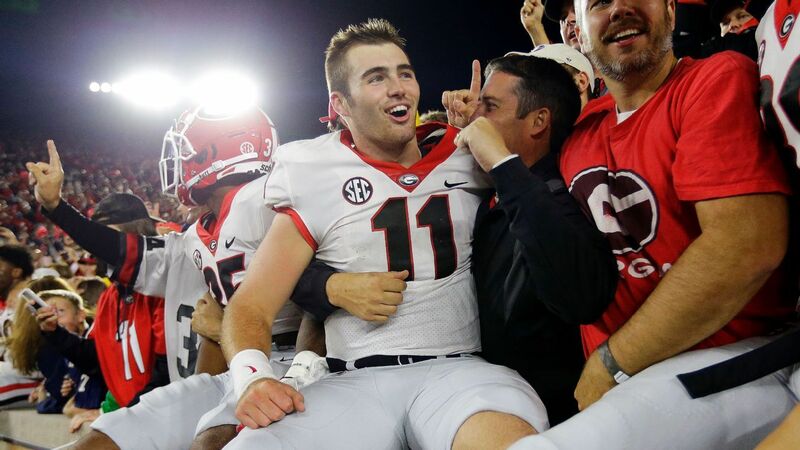 If Ledbetter was the emotional leader of the team in 2018, Reed was a close second. After starting in all 14 games in 2018, Reed seemed destined for the NFL Draft, but elected to return for his senior year. Reed was the vocal leader of the secondary this past season, and helped organize a young group of players. Now, that will have to expand to the entire unit. 5. How good can Jake Fromm be? In 2018, Fromm ranked 5th in the country in passing efficiency, behind only Tua Tagovailoa, Kyler Murray, Will Grier, and Dwayne Haskins. With the Justin Fields headed now at Ohio State, this is unquestionably Jake Fromm’s team. What he does with it will rely heavily on how he develops in new OC James Coley’s offense through this spring and summer. All the ingredients are there for Fromm to have a historic season. Georgia returns 4 of 5 starters from one of the nation’s best offensive lines. D’Andre Swift is arguably the best running back in college football, and he has 4 and 5 stars all over to throw to. With all of the talent around him returning and NFL scouts beginning to circle, 2019 seems like a national championship or bust season for Fromm. If the Jake Fromm who went toe-to-toe with Bama in the SEC Championship shows up in every game, Georgia could see their first Heisman winner since Herschel Walker.